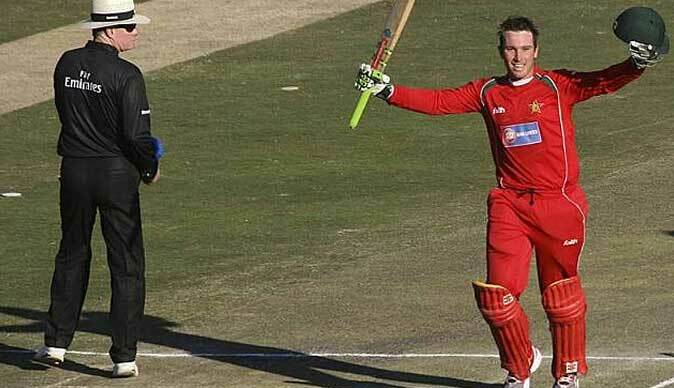 NATIONAL cricket team batsman Brendan Taylor is earmarked to take over captaincy of the team, replacing Graeme Cremer who is set to be relieved of his duties after the failure by Zimbabwe to qualify for the International Cricket Council World Cup finals. A board meeting held this week, following the disappointment on Thursday where Zimbabwe lost to the United Arab Emirates and subsequently failed to qualify for England 2019, proposed changes to the structures of the national teams. The meeting agreed that it was the technical team's fault that Zimbabwe failed to qualify for the finals and changes should be made. The Heath Streak-led technical team are set to lose their jobs and Cremer will not be spared either after the board laid most of the blame on him over certain decisions in the United Arab Emirates match. A reliable source yesterday whispered to NewsDaySport that Cremer was set to lose his job, unless there are changes to what the board resolved earlier this week. "They had a meeting and they resolved that they make changes to the technical team. The captain is also set to lose his job and there has already been an agreement that Taylor takes over," he said. This will be Taylor's second spell as captain after he relinquished the post after the 2015 World Cup after he had clinched a Kolpark contract. Taylor returned to international cricket last year after he quit England. He was a leading light in this tournament, where he finished as the highest run scorer for the entire tournament with 457 runs to his name, including a century against the Windies. During the tournament Taylor was quite vocal on the field, involving himself with field setting and often discussing strategies with Cremer, Sikandar Raza and Hamilton Masakadza.